Tottenham Hotspur earned their first draw of the season against their north London rivals, Arsenal in a 1-1 tie. However, late drama left the Spurs manager baffled after Pierre-Emerick Aubameyang was awarded a penalty to win the game in the dying minutes. The Arsenal striker missed the chance to win the game but it left the Argentine manager frustrated. Tottenham were awarded a penalty of their own in which Harry Kane dispatched off to draw them level. However, the decision to award the Gunners a last-minute spot-kick was not a popular one with Pochettino. "Yes, but you know in the end it was a penalty. Sometimes we focus on a few actions," Pochettino said. Spurs went behind after 16 minutes but managed to break down a tight Arsenal defence to earn the point. "But I think that the action that changed the game was after 12 minutes. The action from Xhaka to Harry Kane that wasn't even a foul. That was the action that afterwards changed everything in the dynamic of the game. "This season we are so unlucky, decisions that affect in a negative way to us. Like Manchester United, Pogba should be sent off, Harry Kane got an injury when it was a clear foul on the edge of the box but no foul. "We keep on going in many, many, many situations but you know, hope that get to the end of the season and next season change maybe and we have more luck in the future," he added. Although Spurs avoided a late defeat thanks to a Hugo Lloris save from the spot, Pochettino felt his side were good for the win. "More than a draw? I think if you assess the game I think we were better than Arsenal in all the aspects, but of course in the way that it finished, with the penalty missing by Arsenal, and the action that we didn't get after because it was a clear penalty on Harry Kane, from lose to win, maybe," he said. "I think it was a fantastic game, such an exciting game, great atmosphere with two teams who wanted to play and win the game. It's always tough to play against Arsenal." The draw leaves a four-point gap between the north London rivals with nine games to go. "It was tough because to concede after 15 minutes was tough for us. But of course, I am so happy with the character, the personality and the way that in the end we played. It wasn't great our performance, but it was very good to draw and then maybe deserve to win. "After two defeats it was important today to build again our positive ways. 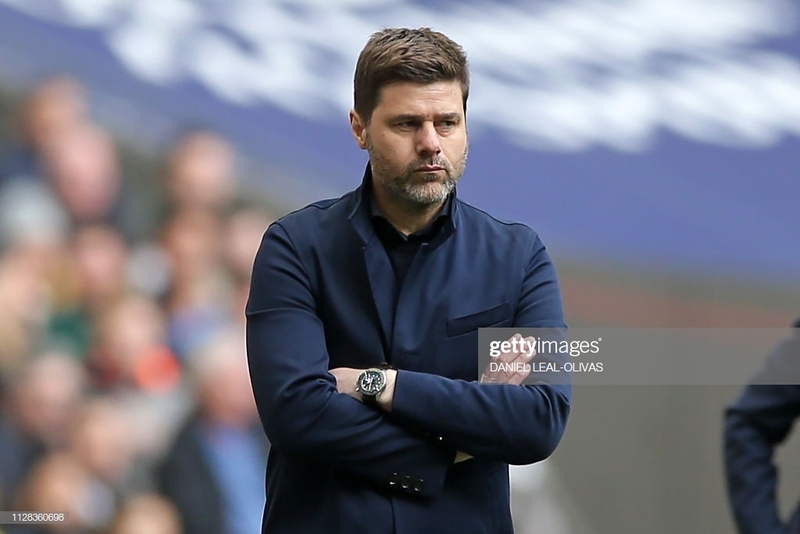 We have a very difficult game on Tuesday against Borussia Dortmund and arriving in a better condition than we arrived today is going to be key," Pochettino added. After a poor night for Spurs on Wednesday in which saw Hugo Lloris between by one of his own defenders, the Frenchman provided a huge stop at the end of the NLD. Pochettino was full of praise for his captain who saved the day for the Lilywhites. "Yeah but not only bad night Wednesday the whole team, not only Hugo," he said. Spurs now face another quick turnaround as the travel to face Borussia Dortmund on Tuesday. "As you say, you put the finger on Hugo as responsible for the defeat, was not him, I cannot blame him. "Hugo is one of the best in the world, he does not need to show that, he cannot prove nothing but the finger always points at the big players, like Hugo or if Harry misses big chances. "We don't win like in the last two games 'Harry is the problem' or I don't know. They are such big players," he added.